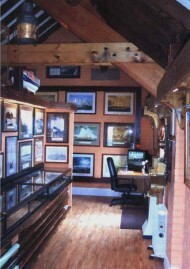 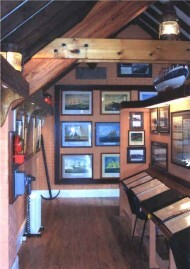 Our museum contains numerous paintings, photographs and a host of memorabilia. 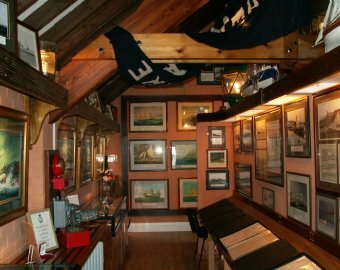 From small and fragile pieces, to huge items - such as the mast from the Charles Henry Ashley, an old lifeboat that was restored as a project in our local village. 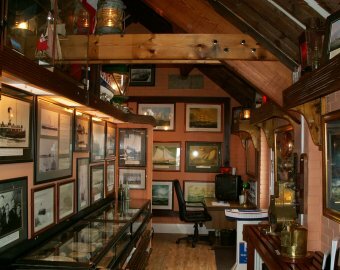 We also have an anchor from the Charles Henry Ashley - see if you can spot it in one of the pictures below! 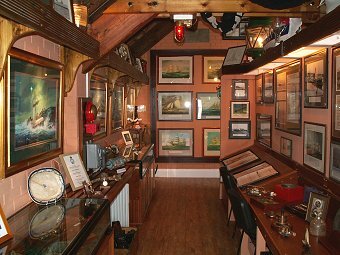 We are always adding new items to our displays and on this page you can see some of what we have to offer and how the museum has changed as we have gradually acquired new pieces over the years. 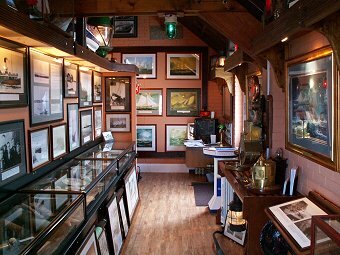 If you are in the area of Cemaes Bay on Anglesey and would to visit the collection, please go to the Contact Us page to get in touch.